Shoulder pain from a heavy backpack? Footsore from traipsing around the convention center? Learn self massage and movement from a massage therapist. Start your morning right with some gentle movement to open up your day of Gen Con. Qigong is an energy nurturing art that is considered the mother of Tai Chi. These workshops are open to those in the yoga and lay community who would like to be able to help their loved ones. 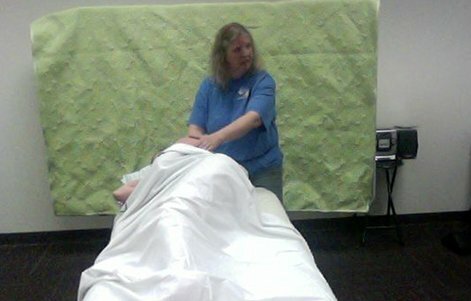 Students experience giving and receiving various styles of massage-based nurturing wellness practices.